Ever wonder what we need fundraisers for? Or why we pick the fundraisers that we do? This post can give you some answers. 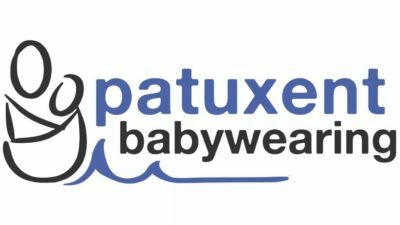 Why is fundraising so important for babywearing groups? You might be curious what we are using fundraiser money for. We like to supply each lending library with carriers that are in demand. We don’t want any family to walk away from a meeting feeling like there was nothing there that would work for them. We are occasionally given donations from companies and individuals, but we have SIX separate lending libraries to stock with baby carriers. We try to buy used to keep our money going far, but that is not always possible. So where do we keep hundreds of baby carriers? Some of our volunteers are able to keep them in their cars or homes, but because of the size of our libraries that is not always possible, so we need to rent storage lockers. We also have to buy luggage to transport our carriers in! We pay for insurance for our carriers and insurance for our volunteers. We pay for our marketing materials: brochures, business cards, banners, mannequins, etc. There are also small fees here and there that need to be covered by funds. If a carrier is returned to the wrong library, it needs to be mailed back to the correct one. Sometimes we need to pay fees for us to have a table at a community event. We also use some of the funds to give back to the community. We hosted two “Baby Gear Swaps”, where all baby gear and clothing is free to anyone looking. We need to pay to rent a large community space for this event. How do you decide what fundraiser to do? Throughout the past few years we have done some really awesome fundraisers. Our most recent, that I coordinated was a partnership with Wonderment Jewelry selling handmade Mama metal pieces. Some past fundraisers include MD flag wrap baby carriers and accessories, babywearing ballet, family photography, boudoir photography, and MD crab babywraps. We try to select fundraiser that we ourselves want to participate in! After I designed a custom Mama metal piece with Wonderment for myself that included a Blue Crab, I thought that It would make an awesome fundraiser for babywearing since Mama metal is popular with the babywearing community. We also try to choose fundraisers that will be successful even with a small amount of orders or we have a required minimum for the fundraiser to happen. We don’t want to waste the time of our volunteers or the business we are working with. For the recent Wonderment fundraiser, I spent some time talking with the owner of Wonderment to see what would be the best way for us to place orders and if they would be shipped in bulk or individually. We talked about how much each item would be and what amount would go back to BWI, making sure the amount was good for both sides. This was her first fundraiser, so it took some time to figure out what would work best. For fundraising, you definitely want to work smarter, not harder. Since having this fundraiser, she has adapted what worked the best and will be able to use that for her future fundraisers. We had orders for our fundraiser go through our Square store and we paid her what we made after we subtracted our earning and gave her a list of the orders and addresses at the end of the fundraiser. We use Square for BWISoMD money management, but there are other options if that wouldn’t work for your chapter or organization. This process with Wonderment worked well, but it could have been easier. She has now made a fundraising specific link on her website so the orders go directly to her and she can make each order as it comes in, because each piece is handmade. Communication and teamwork is important! I was the one in constant communication with Wonderment, and I relayed everything to BWI SoMDs finance person so she could take care of that aspect. Everything will not always go as planned, but typically if you’re open and honest with everyone involved a solution can be found. We did the majority of advertising on social media. We also mention at meetings that we have the fundraiser happening. If you choose awesome products for your fundraiser, it’s easy to get people interested. We hope you can join us for one of our future fundraisers!